October is Airport Restaurant Month! So you’ve no doubt enjoyed a local restaurant during Restaurant Week in your local city. But have you heard that October is Airport Restaurant Month? Even better, you have more than 50 airports to choose from for Airport Restaurant Month. 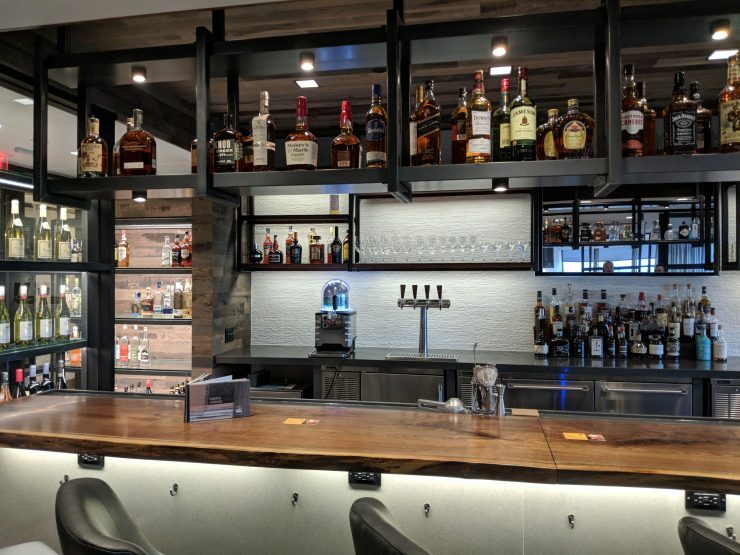 First started in 2014, HMSHost, the operator of all airport airside Starbucks, and many, many, restaurants at more than 50 North American airports, and 120 airports worldwide. Note that Airport Restaurant Month is only in North America at the moment. 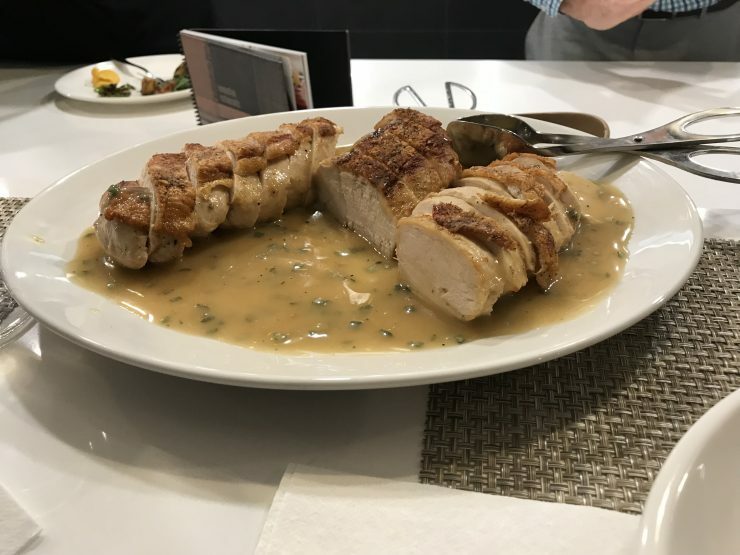 Airport Restaurant Month – What’s on the menu? 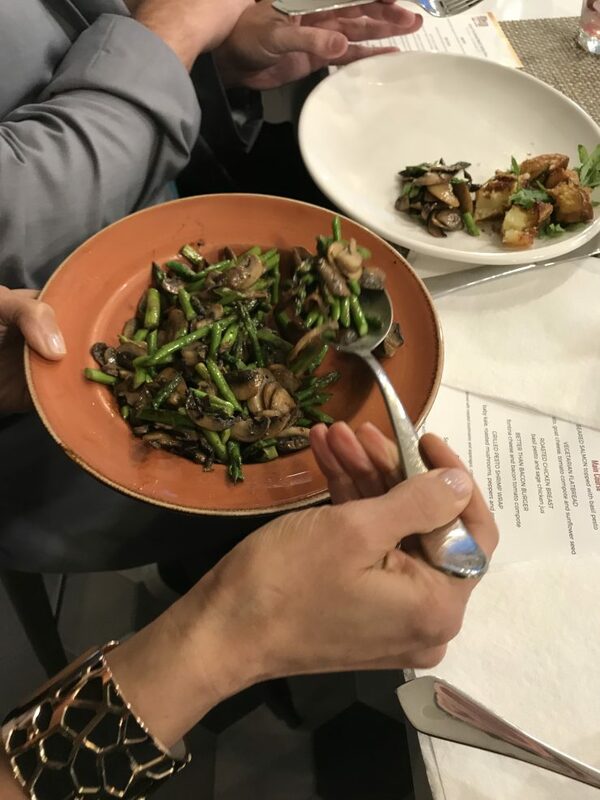 The folks at HMSHost North America, based in Bethesda, Maryland invited a handful of DC area bloggers over to task the amazing new menu for October’s Airport Restaurant Month, and let me just say, it was phenomenal. 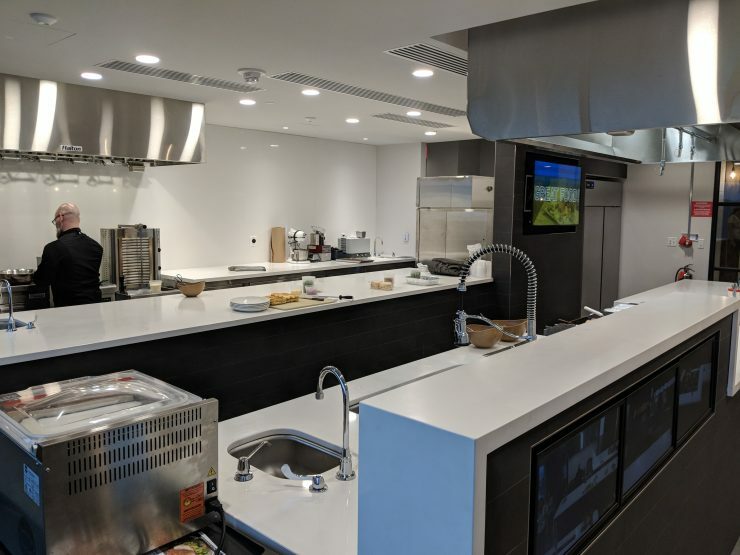 As an aside, HMSHost just did a beautiful remodeling of their facility. 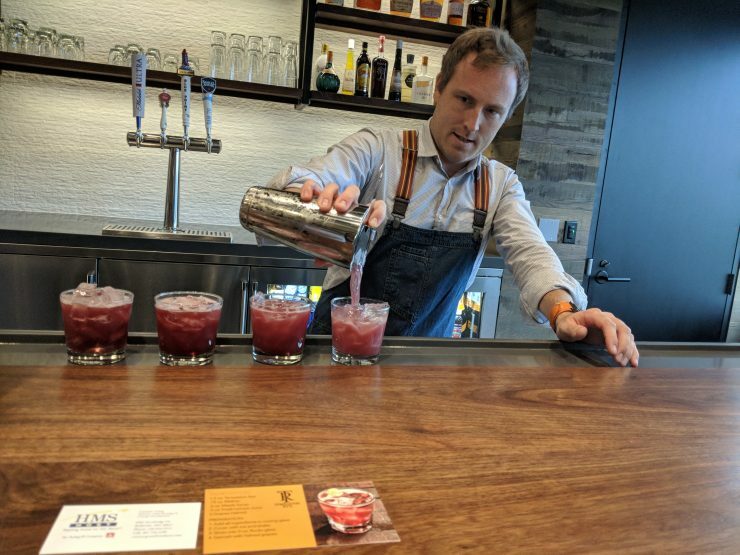 We started in the bar area, which features the staples required at all of HMSHost’s full service restaurants, as well as highlighted spirits. 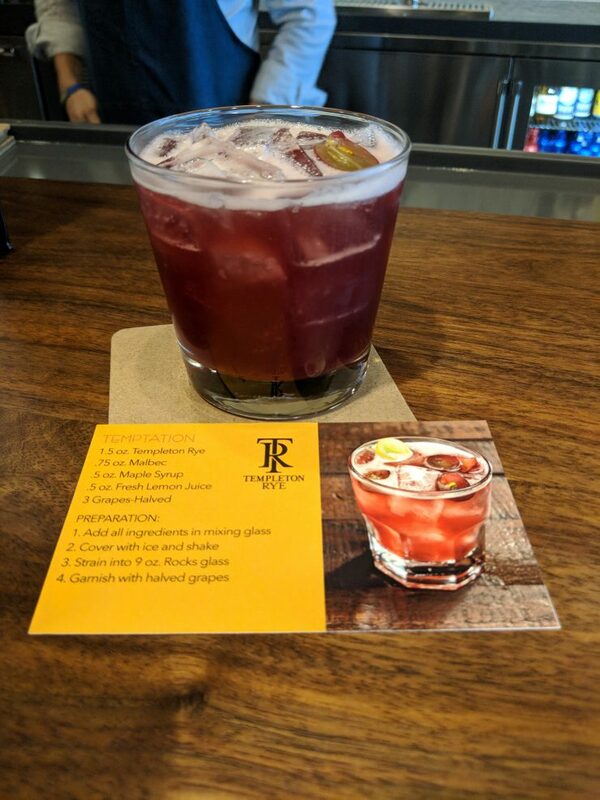 There, Carson Gray, HMSHost’s Director for Adult Beverage and Concept Development, shared with us a Temptation, a pretty interesting beverage that included Templeton Rye, Malbec, and a handful of other fresh ingredients. Carson Gray making the Temptation. The beverage was great, with just enough of each of the flavors, but not a single overpowering flavor. HMSHost’s Temptation – available during the month of October, at many of HMSHost’s full service restaurants across the US. 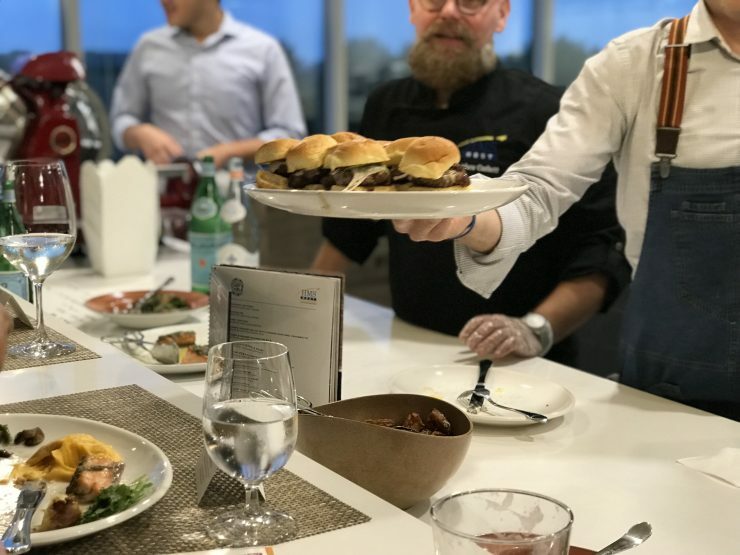 From the bar, we moved into the kitchen area, and tasted a selection of the October Airport Restaurants Month menu, served up by HMSHost’s Director of Culinary Standards, Chef Matthew Corbett. The menu was had a little something for everyone, but also had some real stars as well. 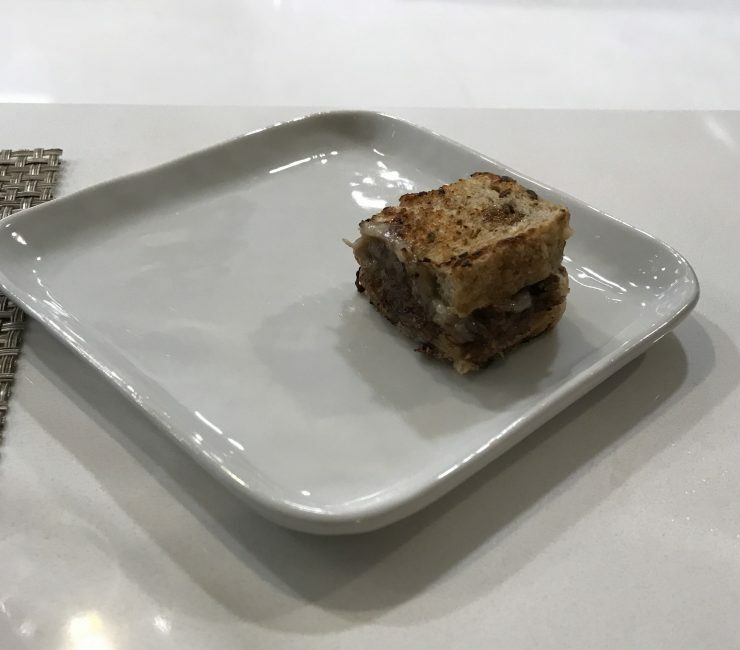 Airport Restaurant Month MenuWe started out with a Roseda Black Angus Farm (local Maryland) short rib grilled cheese which was wonderful. Roseda Black Angus Farm Monkton, MD) Short Rib Grilled Cheese. Following that, Chef Matthew tossed some crispy smashed potatoes. 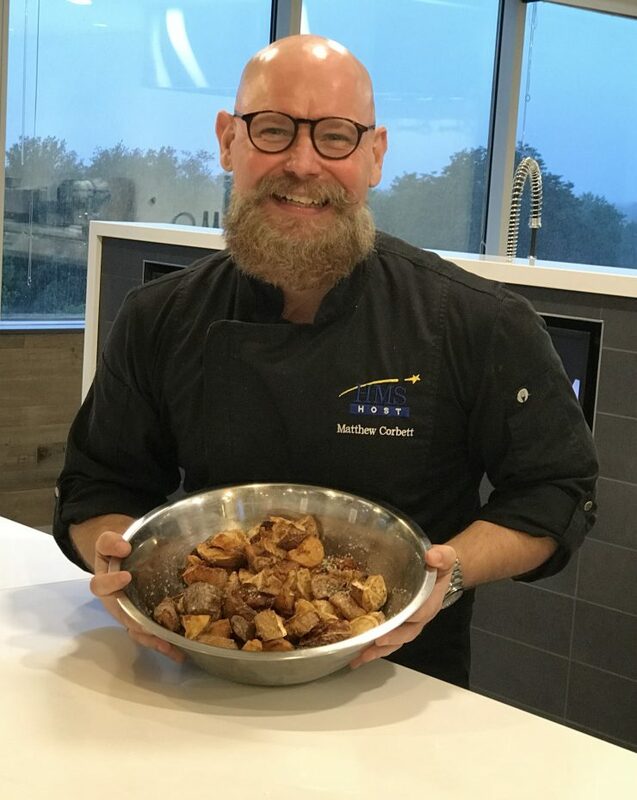 Chef Matthew Corbett with crispy smashed potatoes. Crispy Smashed Potatoes Tossed with Baby Kale. As for the entrees, we started with a fantastic Roasted Chicken Breast, the skin was fantastically crispy. For me, the best, was the next one, which was the Better than Bacon Burger (made in sliders for us since there was so much food). It had fontina cheese and a fantastic bacon tomato compote. 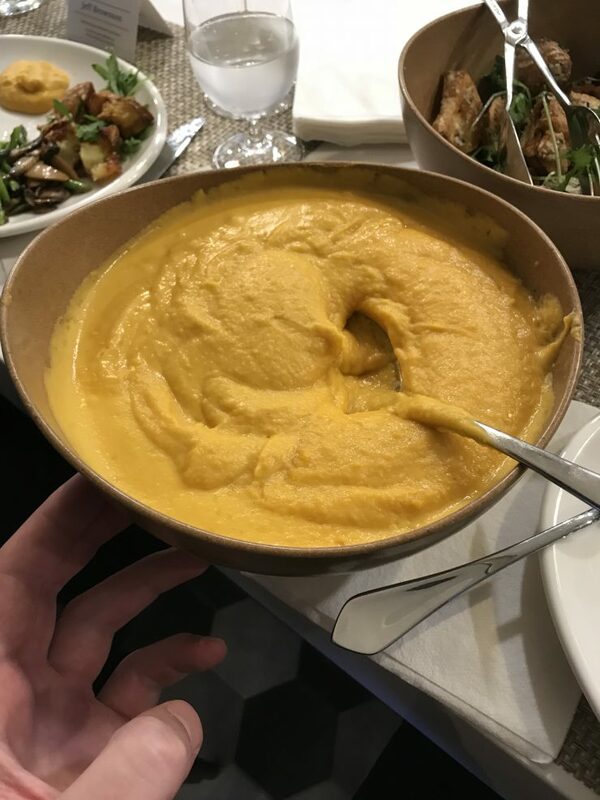 It had a really great sweetness to it. Better than Bacon Burger with Fontina Cheese, and Bacon Tomato Compote. 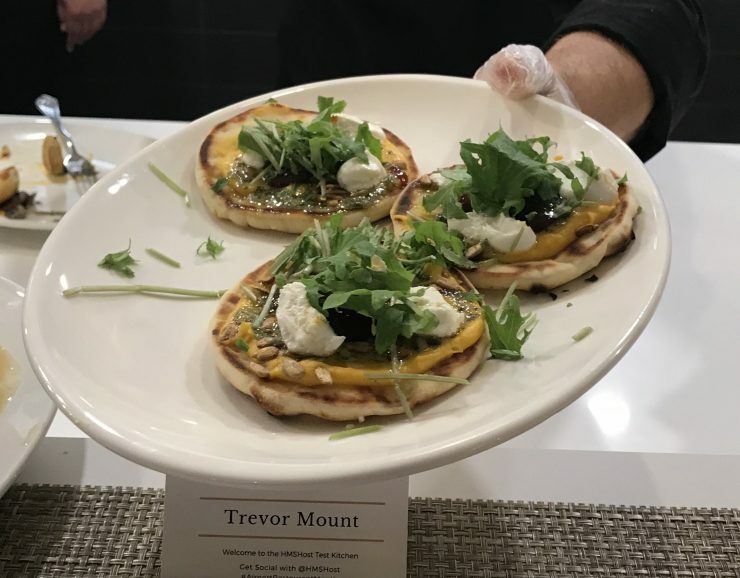 One thing that Chef Matthew Corbett was really proud of, was the vegetarian flatbread, which was very flavorful, and featured basil pesto, goat cheese, tomato compote, and sunflower seeds. Vegetarian Flatbread with basil pesto, goat cheese, tomato compote, and sunflower seeds. Additional entrees included a Seared Salmon topped with Basil Pesto and Grilled Pesto Shrimp Wraps, which both looked great. 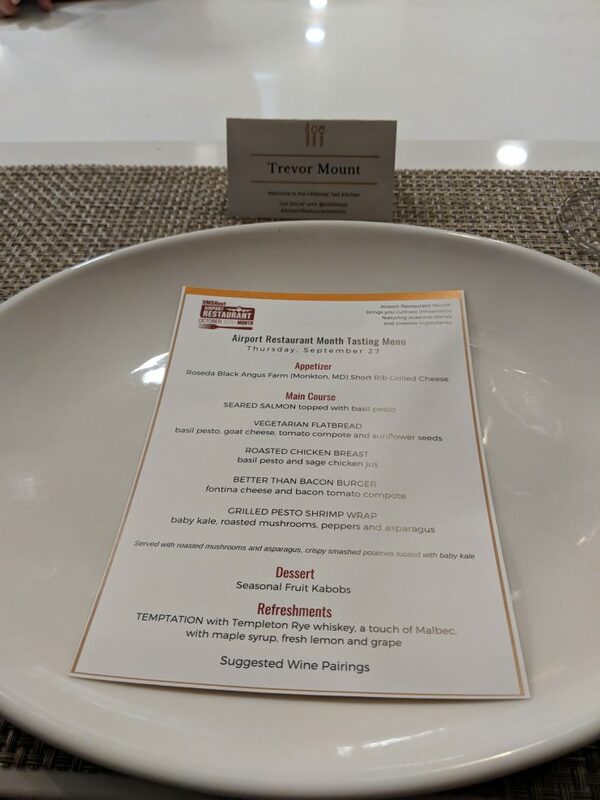 The fantastic Airport Restaurant Month menu! 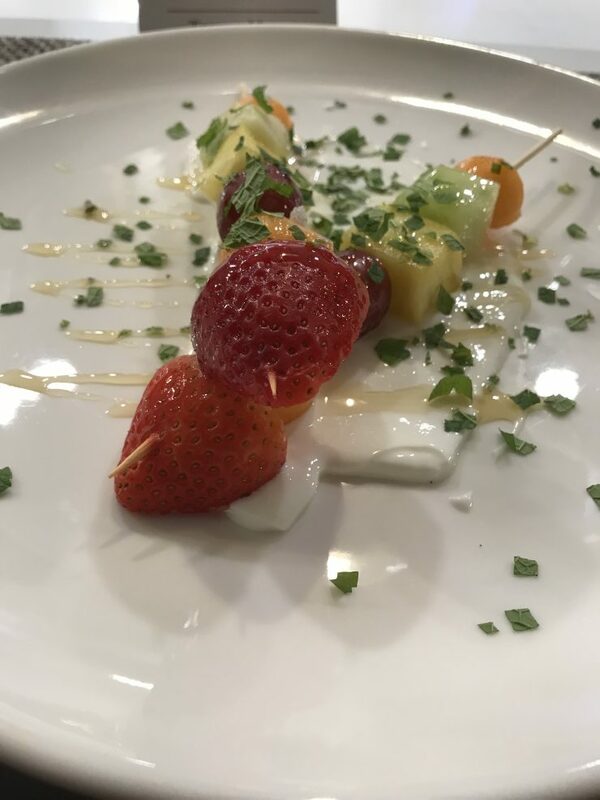 We finished off the great tasting menu with seasonal fruit kabobs with a touch of honey. 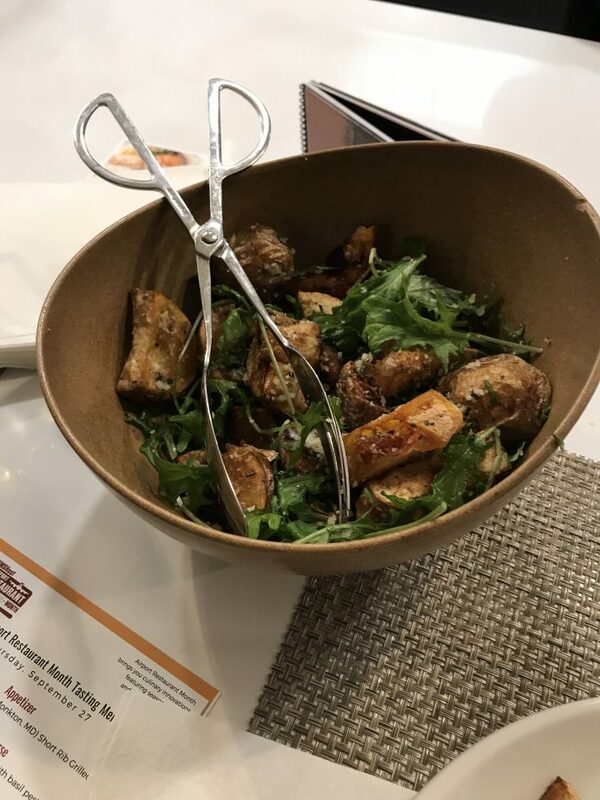 Where can you savor this great Airport Restaurant Month food? 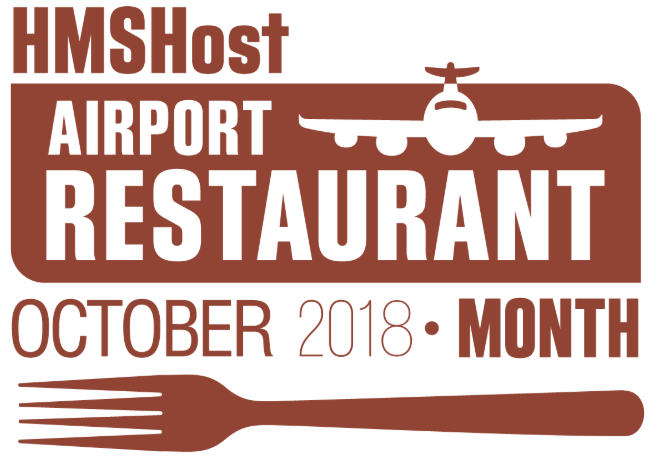 HMSHost has set up a website for Airport Restaurant Month, which lays out the various airports and restaurants participating. 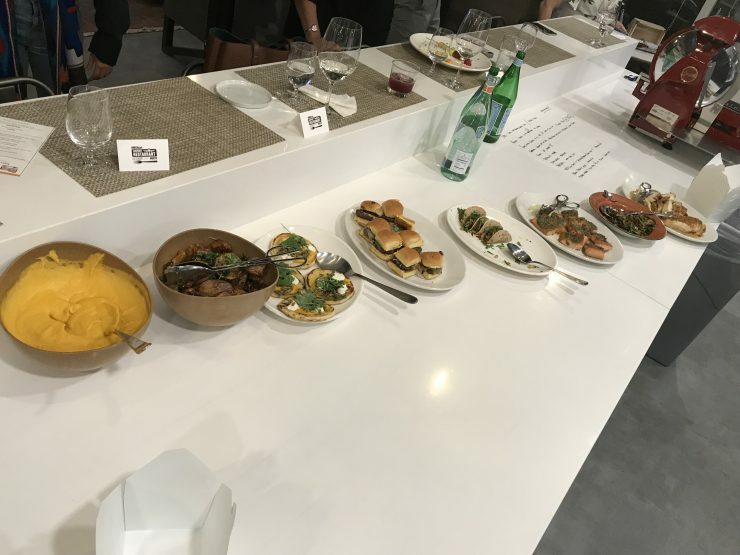 Overall, this is a very well coordinated approach to improving the passenger experience, but providing an elevated and flavorful menu. And don’t worry, as we were speaking with Chef Matthew, they are well aware that folks at airports are trying to make flights. I was interested to learn that they aim for roughly 26 minutes from sit down to check, meaning you’ve received your menu, ordered, received your food and check, all in under 30 minutes. So which airport restaurant will you make it to this month?